Over the last decade, our understanding of the cellular immune system has been greatly advanced through the development of methods to identify antigen-specific T cells directly ex vivo. 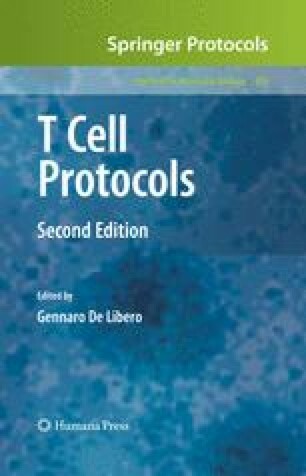 The major reagents and techniques used for this purpose are (i) tetramerised MHC:peptide complexes (tetramers) which bind to specific T-cell receptors (TCR) and (ii) assays that detect T cells which synthesise cytokines in response to cognate stimulation (intracellular cytokine staining (ICS)). Here, we provide a detailed description of the procedure for generating and using class I MHC:peptide tetramers to label peptide-specific T cells and for carrying out ICS to measure antigen-specific T lymphocytes.